Artificial intelligence is developing rapidly and RISE is at the forefront. Not only in terms of basic research and technology – but also in their application and ethical issues. There is currently a great deal happening in Sweden in the field of artificial intelligence. RISE AI is a new initiative to gather AI researchers, companies and public authorities in the quest to establish Sweden as the world leader in the use of AI. Sweden is minor player in the international arena and collaboration is demanded if we are to achieve the necessary critical mass for undertaking advanced technical projects. With nationwide research centres and collaboration environments, RISE will become the Swedish AI sector’s leading research partner. “RISE AI will drive the development of next-generation AI applications for the private and public sectors. 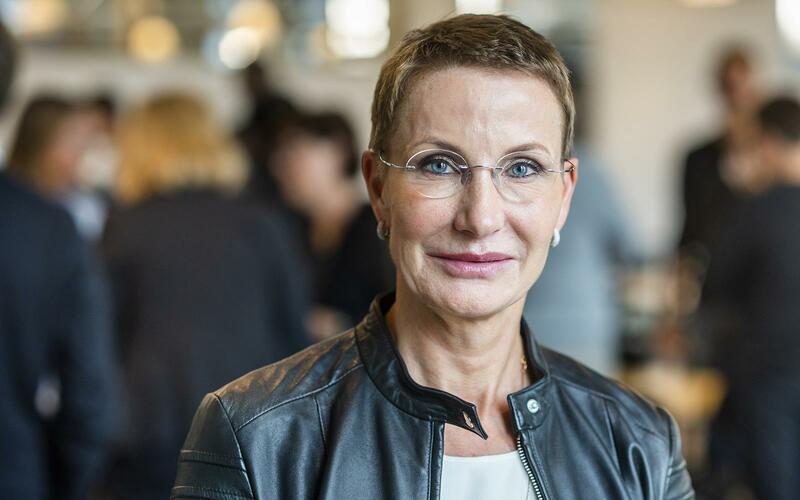 Together, we will raise the level of research into applied AI in Sweden and make AI solutions more widely available,” says Pia Sandvik, CEO of RISE. AI is already a natural and significant component of many of the projects RISE conducts. This covers everything from signal and data analysis of portable sensors on stroke patients, to participating in the development of matching systems for spontaneous job applications on behalf of the Swedish Public Employment Service. The importance of AI to Sweden is well understood all the way up to central government level. “If we work together, Sweden is in an excellent position to benefit from AI, both in strengthening the competitiveness of our businesses and creating new jobs, and in improving everything from cancer care to support for dyslexic children,” says Mikael Damburg, Sweden’s Minister for Enterprise and Innovation. However, irrespective of whether we are dealing with how neural networks should be structured or smart warehousing ahead of the Christmas rush, there are ethical issues to be addressed. Here, there are major opportunities for Sweden to take a leading position globally. “Few of the Swedish companies currently using AI have made a distinct attempt to profile themselves as more ethical and responsible,” says Jacob Dexe, researcher in public policy at RISE. More than 75 AI projects are currently underway at RISE, conducted by over 60 active AI researchers with a wealth of experience in working with its practical applications and the situations this gives rise to. After a spring during which, thanks to Cambridge Analytica and GDPR, the use and storage of personal data has been in focus – public awareness is high. “Those stakeholders who lack a strategy for working sustainably with user data are courting trouble, both from EU legislators and the public at large. It is important to prepare with a view to the intended use of data and proposed application of AI and algorithms,” continues Jacob Dexe, who specializes in privacy and integrity issues. One example that has received attention is an AI system in the United States intended to provide decision support to courts regarding bail setting. “This system has been criticized because, all things being equal, it discriminates against people of African-American descent. The system is based om machine learning from large amounts of data from previous judgements handed down by the courts. The prejudices of the individuals making those previous judgements have therefore contaminated the algorithm. Examples like this may be one of the reasons why there is still a mistrust of judgements made by AIs and algorithms; for instance, a reluctance to travel in self-driving cars. “There is a lower level of acceptance for data-supported decisions. We are used to human error but when a computer makes a mistake, the reaction may be greater and directed at the entire system,” says Jacob Dexe. So, trust and social acceptance are areas in which stakeholders have work to do. In this regard, RISE is already way ahead. Since 2017, the Sjyst Data! (Cool Data!) project has been studying and testing how a certification system for ethical processing of user data might be implemented. “Public awareness of these issues has increased. The aim of this project is to contribute to companies being better and more transparent with regard to the privacy aspects of developing digital services. Partly through studying the feasibility of certification but also through developing recommendations and guidelines for companies on how to design things like terms and conditions and contracts in an ethical, easy-to-understand manner. It will become increasingly important for companies to demonstrate good intentions with regard to these issues,” says Håkan Cavenius at RISE. Among others, the collaboration is supported by ABB, the Swedish Public Employment Service, Assa Abloy, Boliden, Combient, Ericsson, Gavagai, Great people, Husqvarna, Mavenoid, Mobilaris, Peltarion, Recorded Future, Saab, Sana Labs, Scania, SSAB, Yanzi, and Vattenfall Vattenkraft AB.